Manos Siganos, the creator of the displayed design Olive oil package:Kritsa Extra Virgin Olive Oil by Manos Siganos explicates, This is the package of &quot;Kritsa&quot; extra virgin olive oil. 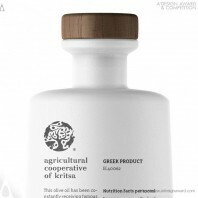 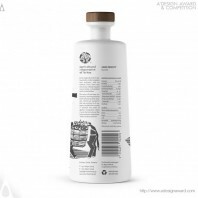 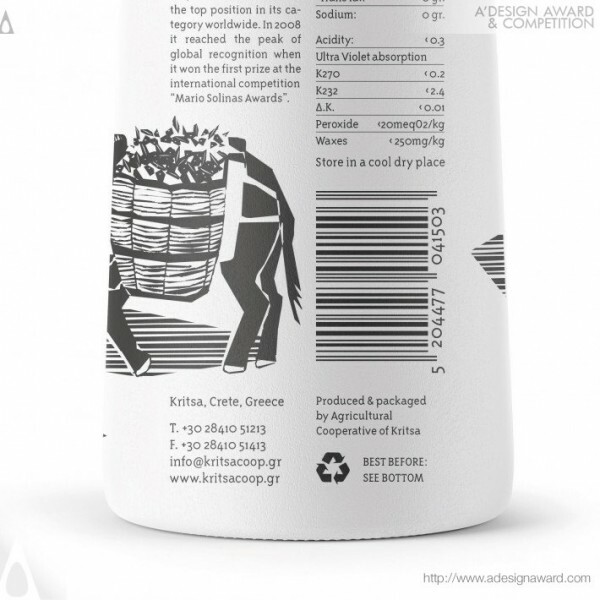 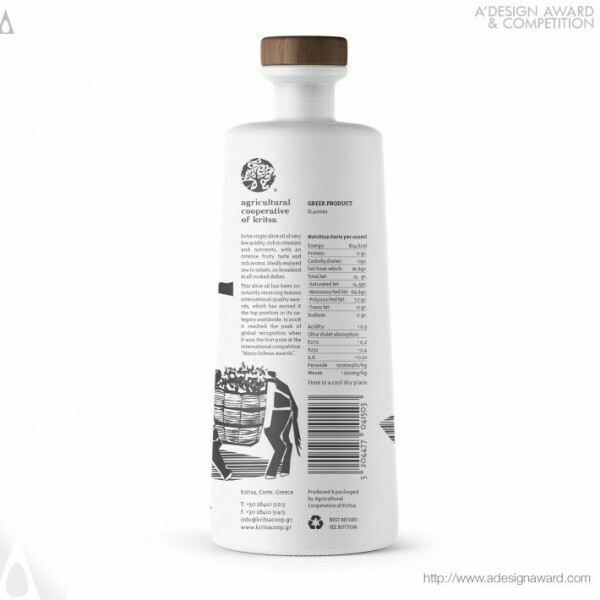 A unique and value product that is produced and packaged from the local agricultural cooperative of the traditional Cretan village of Kritsa. 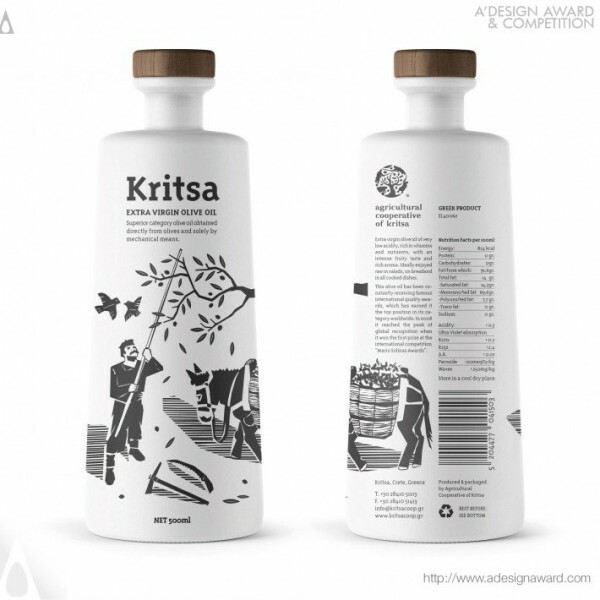 A glass bottle with a special shape, careful illustration and typography. 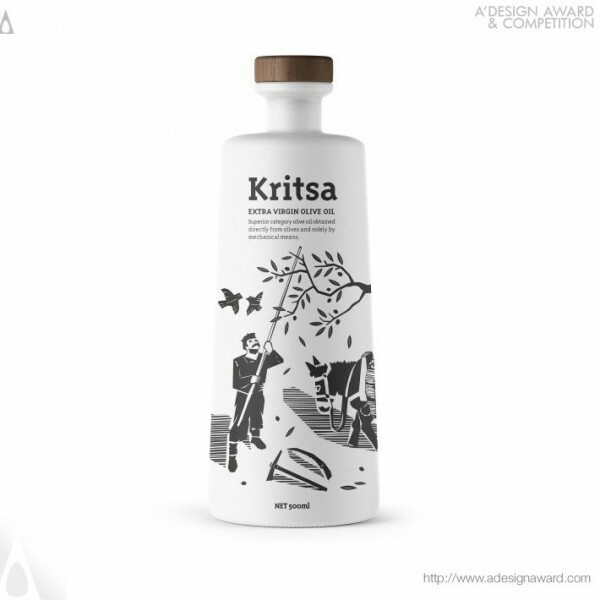 The illustration has the engraving style and represents the traditional way of gathering the olives in Crete. 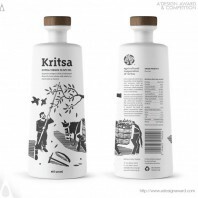 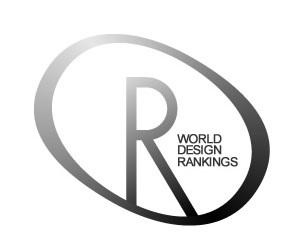 The typography follows the same character in order to communicate in a modern way the tradition and culture of the area..